Mobile devices changed the way people interact and communicate several years ago. Today, the devices have made their way into the workplace, and they're changing the way we work for the better good! According to a 2016 survey by Samsung and Sullivan Research, interviewed employees reported a 34% gain in productivity after using smartphones and tablets to do official work. The study found that 51% of employees relied on applications to do business. 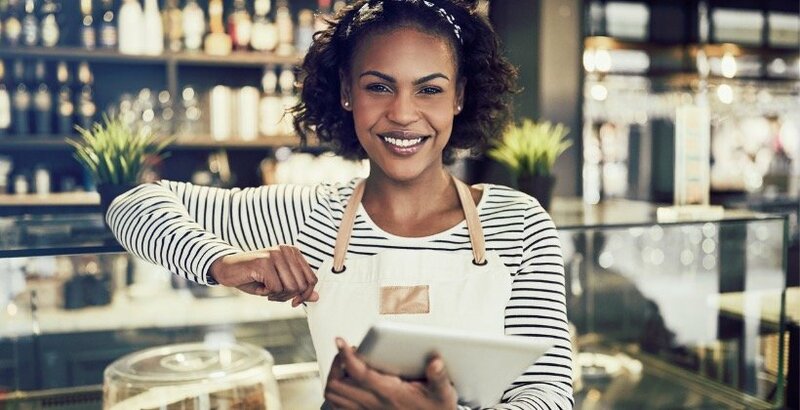 So, if mobile technology can change the way personnel work, it can also impact their learning approach, and that's of great significance to employee training in many places, including restaurants. Possibly, an increasing number of your recent restaurant hires are Millennials. Now imagine asking them to plow through tons of information to find a recipe, or to keep shadowing an old-timer who may not always bring them up to speed quickly. That's an old-school, uninteresting staff onboarding approach, and sometimes, it gets bored trainees to run away rather than hit the ground running! However, mobile restaurant training programs are changing the way recruits access educational and instructional information. As learner profiles evolve, mobile technology delivers captivating video training via smartphones, tablets, and other modern gadgets that interest a younger workforce. The engaging curriculum encourages new hires to stick around for longer, complete their orientation courses, and start delivering sooner. Long after receiving proper and extensive training, new and experienced cooks or chefs may not always remember everything, including vital recipe details. However, not getting a single ingredient right could compromise the quality of a dish, and ultimately, customer satisfaction. That's why restaurant employees need a capability to train and learn on the job, on demand. A mobile LMS solves that challenge with performance support resources like apps, videos, images, and text files that trainees may search and retrieve in seconds without halting time-sensitive processes in the kitchen. A mobile LMS provides a convenient way to track and measure the progress of each trainee. The system facilitates the creation of assessment tests whose results may influence critical business decisions, such as personnel promotions. Graphical reports enable the restaurant management to track and evaluate personnel and processes. A supervisor could deploy detailed mobile analytics to identify what instructional or educational media that individual users have accessed as well as assess the effectiveness of each training resource. Are trainees mastering a recently uploaded culinary training video, or does the manual require tweaking? A restaurant business is always prone to social or industry dynamics, such as changing food safety regulations or shifting consumer preferences toward lean, organic dishes. For compliance purposes and to preserve competitiveness, such an enterprise may have to review meal preparation procedures or even serving etiquettes accordingly. In that case, food service managers update any revised protocols, recipes, or manuals on their mobile LMS quickly, keeping their kitchen staff posted in real-time. A mobile staff training system can scale quickly to new restaurant locations without requiring massive investments in new underlying IT infrastructure. As the business grows, new mobile devices and digital content are integrated seamlessly into the existing platform, enabling new hires to catch on and keep the pace with their colleagues right away. If you're interested in unraveling the significance of data analytics in advanced learning systems, explore our free guide "Trust the Data: How Modern Learning Impacts Your Operational Performance."